When you need to be productive, meditate. You seriously will not believe the effective of meditation on productivity. Let me show you how to do it. Did you know that there are more than 100 benefits of meditation? One of the main benefits is that meditation helps productivity, big time. Yes, if you want to be more productive, meditate. There are so many times in my own life when I have no productivity at work. And you know how much of an issue low productivity levels can have. When I have low productivity levels, I take ten to twenty minutes to meditate. 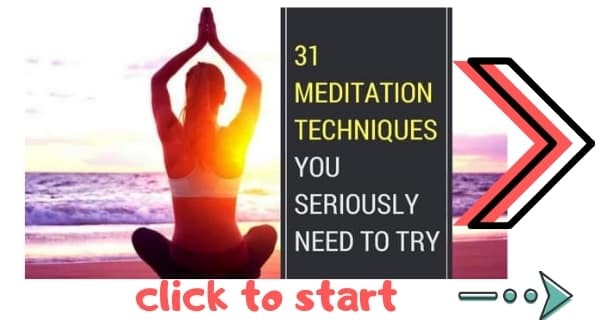 You can do any of these 31 meditation techniques to be more productive. In fact, meditation helps productivity so much that employers are starting to incorporate the mindful lifestyle into the work place. Scientific research shows that meditation improves cognitive function. One of the main ways it does this is by improving productivity levels. When you meditate you train your mind to focus, and when you are able to focus on what you’re doing you are automatically more productive. Take a look at the scientific study, which shows the effect of meditation on productivity. But what are the best meditations for productivity? 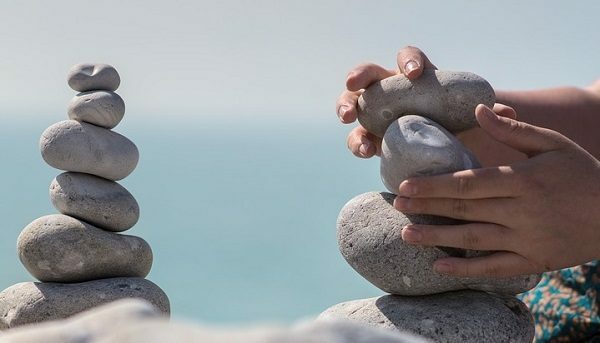 As a meditation teacher, lots of people ask me what are the best types of meditation for productivity. Essentially, the best meditations for productivity are ones where you focus on one thing. For instance, meditating on your breath is a great choice. Another option is to meditate on a relaxing sound. But if you want to know the best meditation for productivity, read this. And that’s how to meditate for productivity. But there are some other great natural ways to improve productivity, too. There are 10 highly effective ways of boosting productivity fast. And they are all natural and healthy. There are safe and healthy ways of boosting productivity and raising your energy levels. Robin S Sharma, author of The Monk Who Sold His Ferrari, said, “Productivity is less about what you do with your time. And more about how you run your mind”. The most effective ways of boosting productivity all involve changing your mindset. And we can do this with meditation, feng shui, yoga, and even a little happiness. Here are 10 natural, health ways of boosting productivity fast. Do you work in an office lit by those hideous unnatural lights? Are there no windows? Are you staring at blank walls all day? The Interdepartmental Neuroscience program at Chicago’s Northwestern University conducted research into the effects of having windows in an office (1). Results showed that people who worked in offices with windows had better quality sleep because they had been exposed to more natural light. The improved sleep quality meant employees had more energy during the day time. So if you want to a quick way of to boost productivity: let light in. Did you know that white walls make you less productive? Colours actually have a huge effect on our levels of productivity. A study by the University of Texas researched the effect that white walls had on our ability to work effectively. The results weren’t good. Test subjects made more mistakes in offices that are white compared to offces that are red or aqua. Another study by University of Columbia found that red makes employees more accurate on detail-oriented assignments. For the best results, however, try Feng Shui. Feng Shui uses specific layouts and colour schemes to introduce positive energy into an environment. Read my guide to Feng Shui for more on this. Probably the most important natural way of boosting productivity is eating the right diet. Your diet effects productivity levels in big ways. Make sure to eat the right foods for focus. Obvious we all know that a good cup of coffee will raise our cognitive abilities for a couple of hours (2). But there are healthier and more effective foods for productivity. So, for a healthy body, and for a quick way to boost productivity: eat the right diet. This is a sort of meditation technique for productivity. Pratyaha yoga is like yoga for the mind. It is becoming popular to practice yoga at work. And studies shows that yoga at work increases productivity. Most often the type of yoga done at work is the physical kind. Only very enlightened people practice pratyahara yoga at work. Pratyahara is a mental style of yoga in which we control the influences that are affecting the mind. For instance, we can consciously choose to remove distracting objects or unmotivating people from our lives. And we can increase objects and people that have a positive effect. Take a look at the link above for a complete guide to Pratyahara. It’s a great healthy way of boosting productivity fast. Dopamine is a neurotransmitter that is the chemical of reward in the brain (5). Essentially, the brain motivates itself by offering itself a reward of dopamine, which makes us feel good. Problem is, today we get dopamine from thousands of unhealthy sources including sugary foods, movies and entertainment, cigarettes, and alcohol. Because of this, the brain becomes more motivated to have for instance) a smoke than it is to complete a work project. When we remove the unnatural sources of dopamine, the brain is forced to get dopamine from healthy sources (such as exercise and completing tasks at work). To massively boost your productivity, manage your dopamine. There are many benefits of meditating. And you can definitely use meditation techniques for productivity. The best place to start is with some meditations for concentration. A study by the University of Washington researched the effects of meditation on workers (the workers were in HR). Employees were given an 8 week mindfulness training course. After the course, the employers were found to have heightened focus and a more positive attitude towards work. There are also powerful mantras for focus that can quickly boost productivity levels. Let me speak from personal experience for just a sec. Listening to Tibetan Singing Bells has made a world of difference to me. I used to suffer from the symptoms of ADHD. And that made it next to impossible to focus or to be productive. That was when I got majorly into meditation (which I now teach—and which you can learn in my book Journey To The Buddha Within You). One thing that made a huge difference to me personally is Tibetan Singing Bowls. These are ancient instruments used for meditation. Sadly, there’s not a lot of scientific research to back this up. So I can only speak about my own experience. That said, for me, Tibetan Singing Bowls have had a huge impact on my life. Take a look at my guide on Tibetan Singing Bowls for more on this. This is one of the best meditation techniques for productivity. Standings desks are a life-saver if you’re often at the computer. As a blogger and writer I personally am at my computer for a sickening amount of time. Being able to stand up makes a huge difference to my productivity (it also stops me from getting tummy aches). Research from Cornell University backs standing desks. In a study, participants alternated between sitting and standing at a standing desk. Those participants who alternated between sitting and standing had increased productivity and reduced musculoskeletal discomfort. 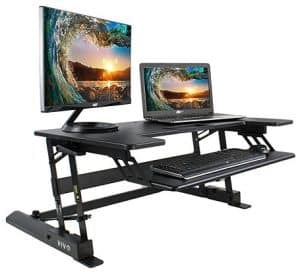 The highest rated standing desk on Amazon right now is the VIVO one picture below. This is one of the healthiest ways of increasing productivity. Being happy at work? Not always easy. Of course it’s easier if you work at a job you love. But even if you don’t you will still benefit from being happy at the office. In fact, research shows that hard work is less important than just doing what you are passionate about. Happiness at work pays dividends. Research from the University of Warwick took a group of participants and exposed them to a video of a comedian. This made the group “happy” (though you would think humored would be a better word). The group that watched the comedian (and were therefore happy) performed 10% better than everyone else simply because they were happier. But what if you’re not exactly chipper about your profession? Our ultimate guide to happiness will make you happy even if you don’t love your job. Another great way to boost productivity is with meditations that “ground” you. So you’ve got monkey mind. You’re erratic and all over the place. Your mind jumps from one thing to the next like Super Mario on an adventure. No worries. You can cure your monkey mind and regain your focus by using grounding meditation. This is a specific type of meditation in which you anchor the mind so it is less erratic. For more on this read Curing Your Monkey Mind. Your working hard trying to be more productive so you can get a promotion and make more money. Except hard work doesn’t pay off. Studies prove it. To be truly productive (and successful), quit working hard on things you don’t love, and start working on your passion. When you work on your passion you will achieve flow, that Zen state of mind where we are being productive with ease. When you get in the flow-mode, you will hit the heights of productivity without the stress associated with most work. The key to getting more done (whether you want to get things done faster or get things done better), is to have a productive mindset. The tips we’ve looked at above will help you to develop concentration and focus so you can be more productive. Of course there are other options if your lack of productivity is caused by sheer laziness. Do you have any great productivity tips to share? Leave a comment and remember to subscribe to our newsletter. 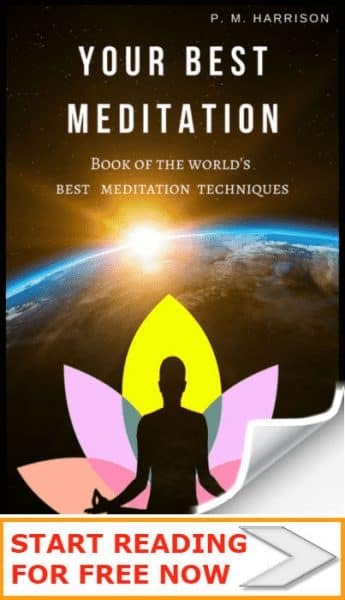 TheDailyMeditation is an entertainment and education website. All information provided is for the purpose of entertainment and education. We do not offer medical advice. Always consult a doctor. Book a lesson in Hamilton here.